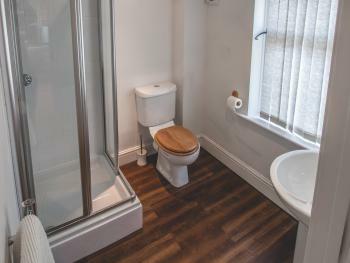 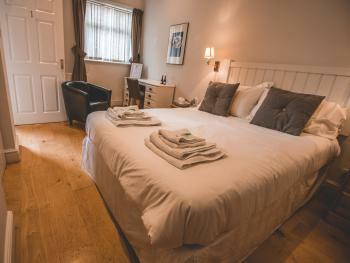 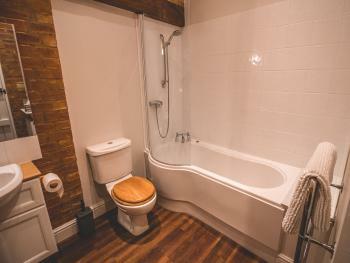 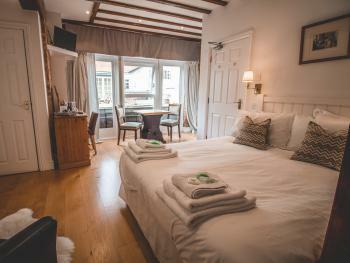 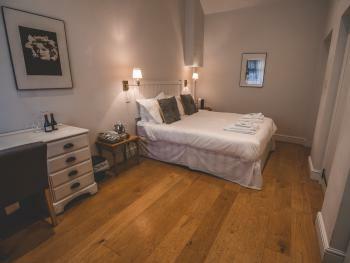 The Pheasant Room is a really cosy room, with an ensuite shower. 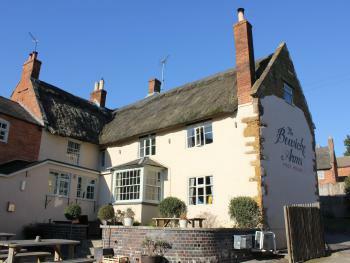 It is on the first floor of the building so is not wheelchair accessible, but offers a stunning view onto Hare Pie Bank, site of the famous bottle-kicking. 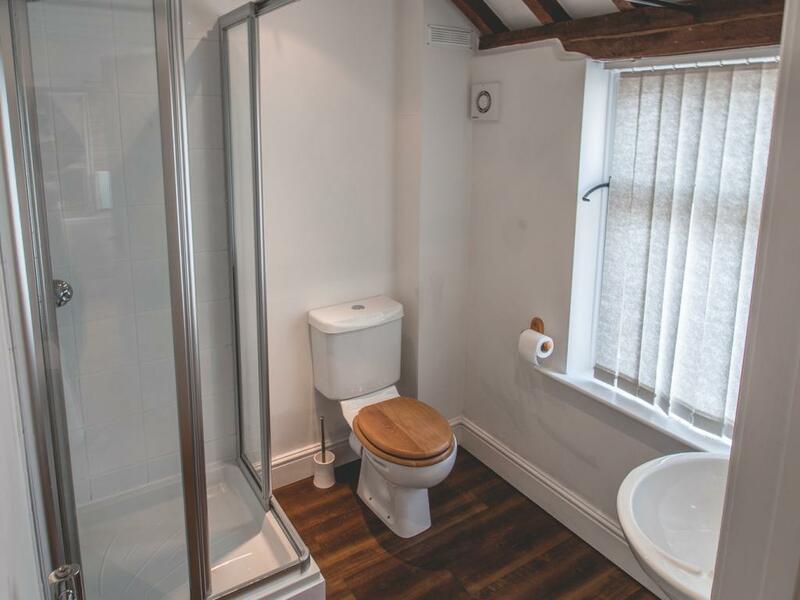 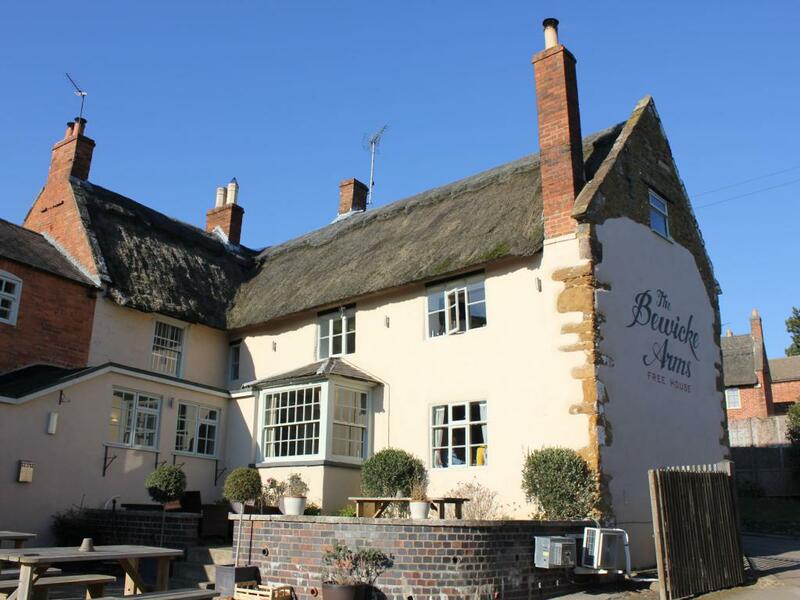 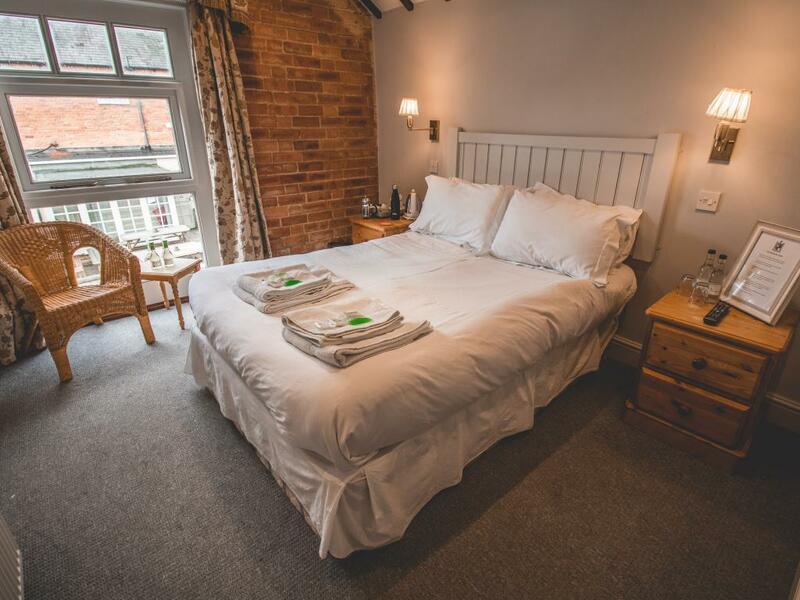 We have two double rooms on the ground floor, The Hare Room having an en-suite bath and the Bull Room with an en-suite shower. 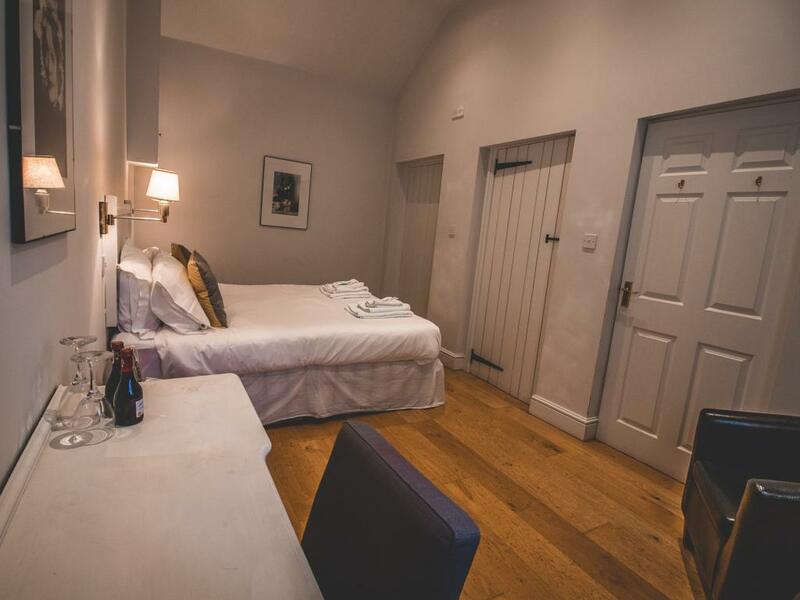 With individual styling and tastefully decorated, the Bull room is wheelchair accessible, whilst the Hare Room has a small step into it. 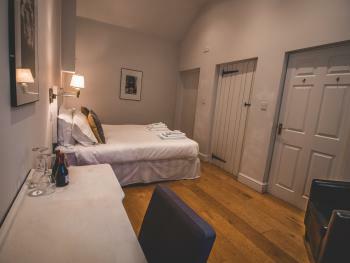 The Hare Room is one of our larger rooms on the ground floor. There is a small step into it, which can be negotiated by a wheelchair, but for full, no step access the Bull Room is a better choice. 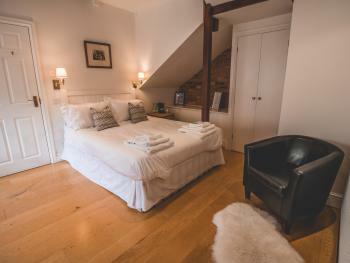 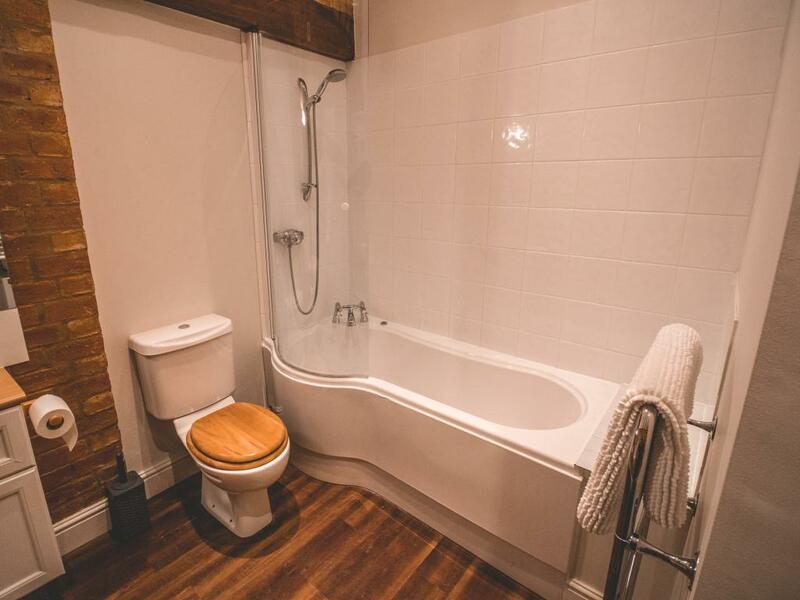 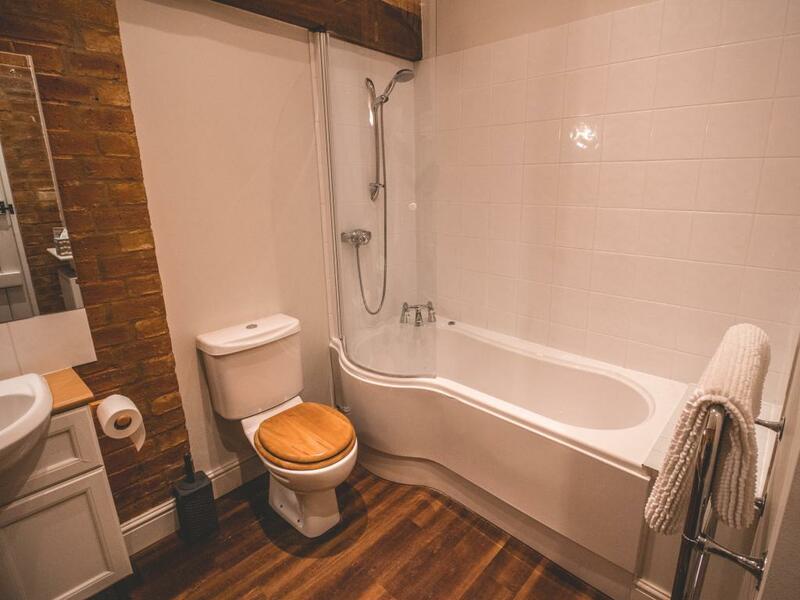 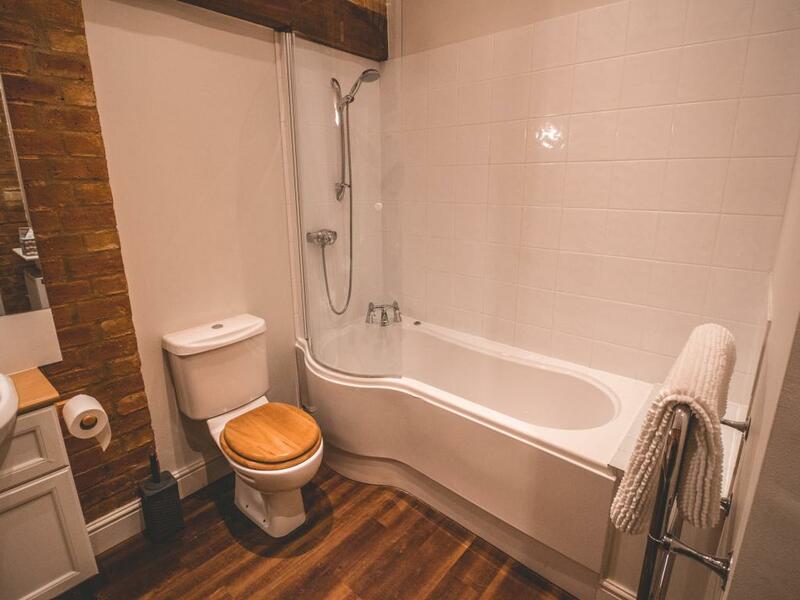 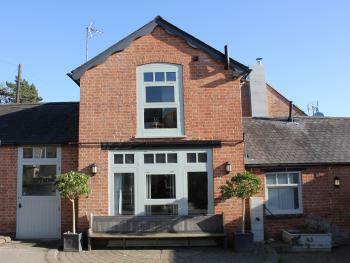 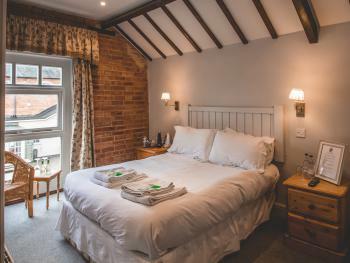 The Hare room is creatively themed, tastefully decorated and has a bath with shower over. 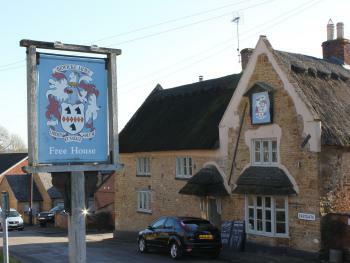 Set in the picture postcard village of Hallaton as featured in the book ‘The Most Beautiful Villages of England’ by James Bentley, Hallaton hosts the famous Bottle Kicking and Hare Pie Scramble every Easter Monday with locals competing with the nearby village of Medbourne. 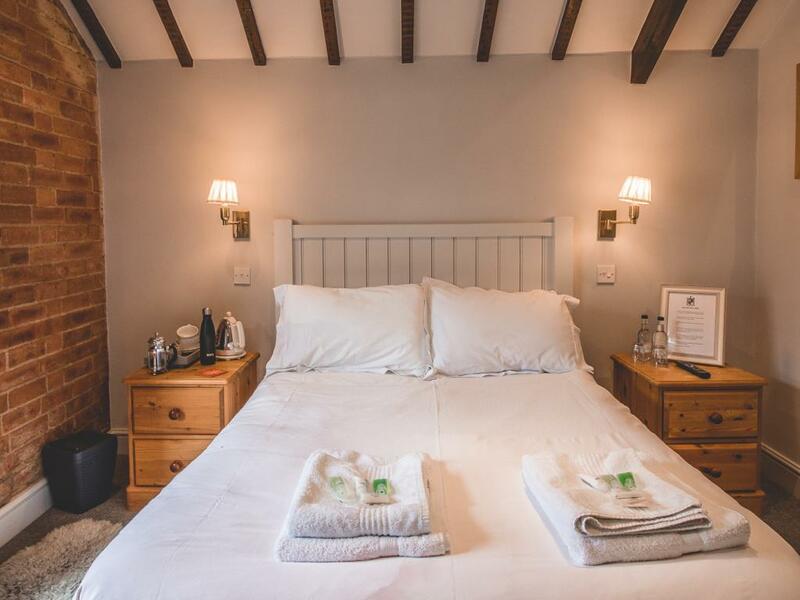 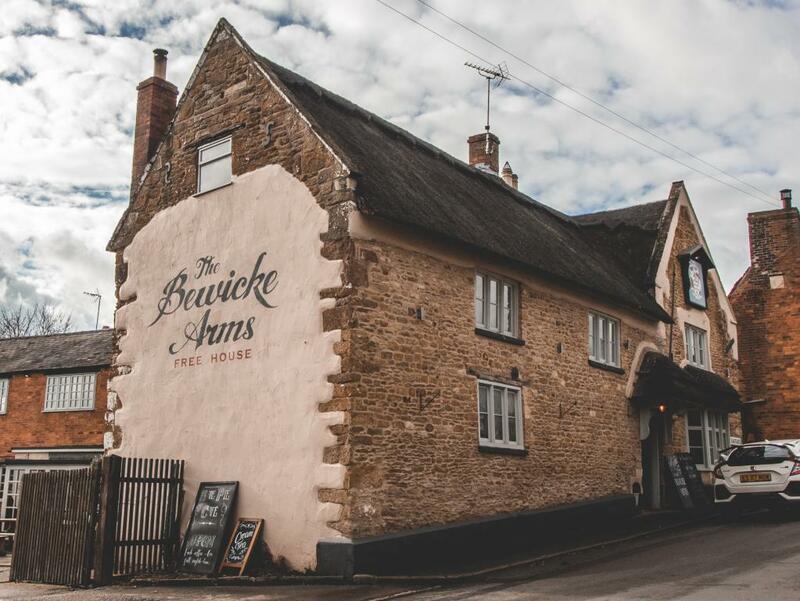 Our rooms are in a beautifully converted stable block of The Bewicke Arms. 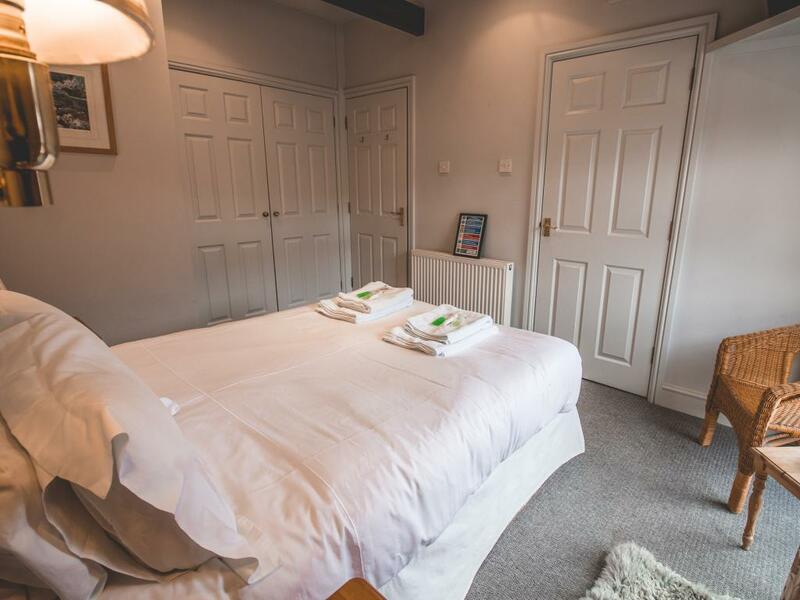 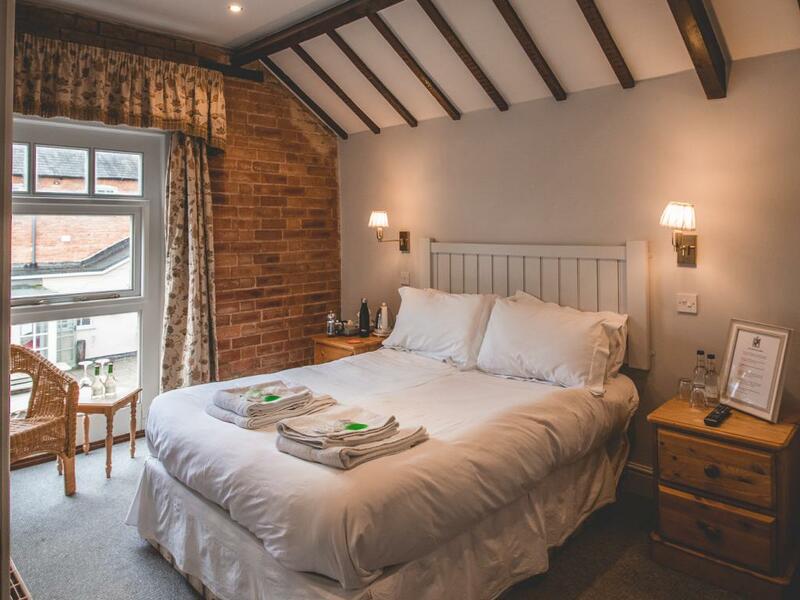 The three airy bedrooms all have king size beds, crisp linens, fluffy towels, private shower/bathrooms, WiFi and tea and coffee making facilities. 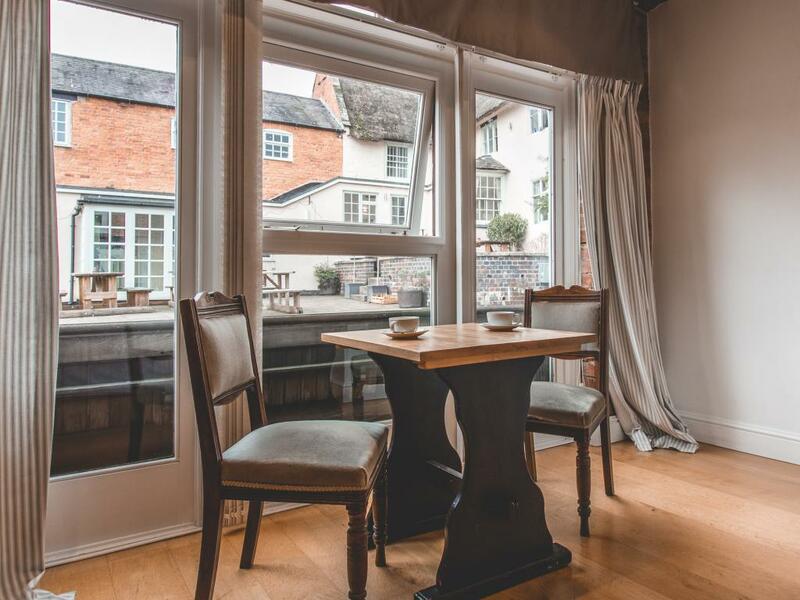 Delicious full English breakfasts are served in the adjoining Hare Pie Café and lunch and dinner is available in the cosy pub which offers bar snacks and a daily changing a la carte menu. 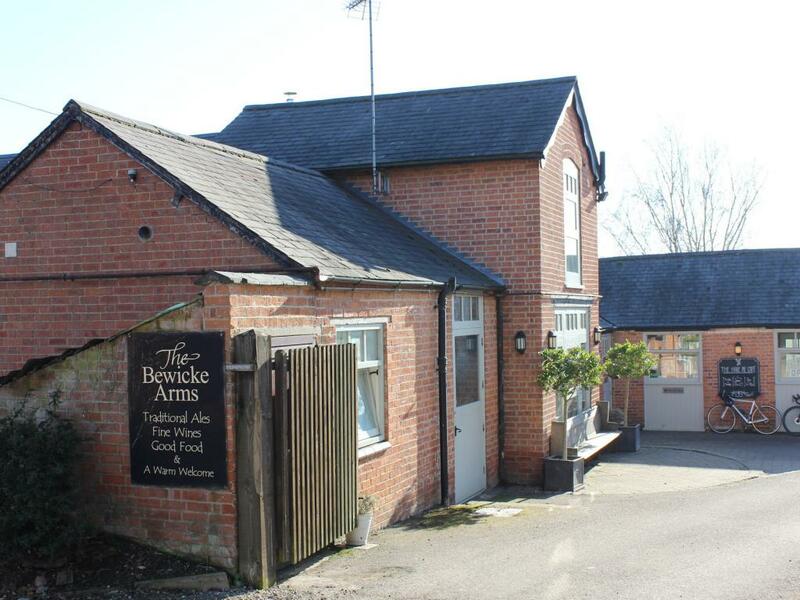 Plenty of parking is available on site, and we have electric charging points.